EUREKA! 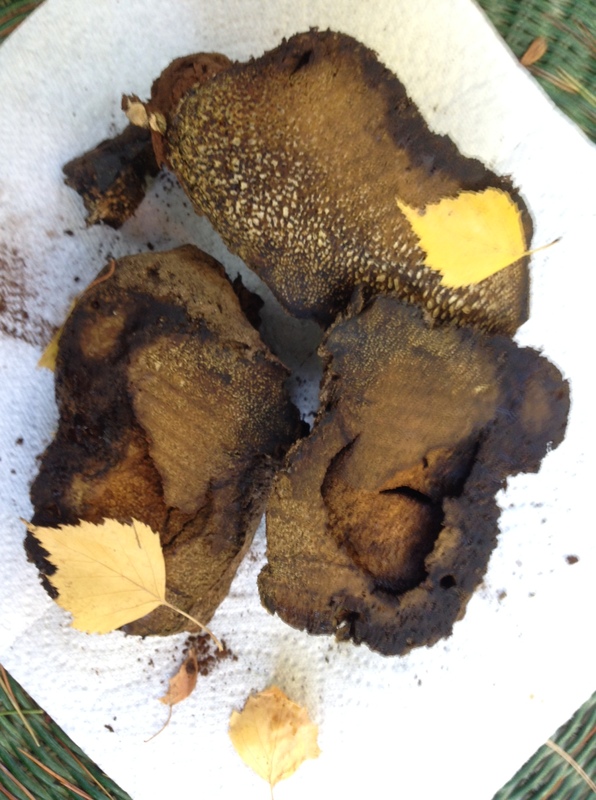 I have struck GOLD – Mushroom that is!!! On a recent walk around the Eugene West/Downtown neighborhood…..found this lovely Pisolithus Tinctorious..AKA Dead Man’s Foot..Fungi. Kind of GROSS looking but it dyes the most beautiful Brown/Gold.Depending on the after bath or Modifier, it can be brassy or really Chocolate. Easy to use, just CHOP it up and put into a mesh bag, submerge into a pot of water and simmer you can add wool fleece or yarn, with our without a mordant such as ALUM. Let cool overnight. Can we dye some of my hat yarn with it? Unfortunately, I don’t think it is available in any kind of form “for Sale”. It must be wild-crafted. I will think of you next time I find some. Its a bit gooey, so I would have to dry it or ship it right away! Thanks for your interest and Happy Rug Hooking!! !